I tried two varieties of Nutri-Grain Breakfast Biscuits: 1) Apple Cinnamon and 2) Chocolate Chip. Of the two, I preferred the Apple Cinnamon variety. 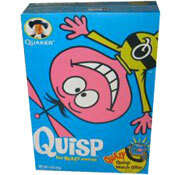 Each serving consists of a pouch containing two 4x2-inch thin biscuits. They have a texture that is somewhere between a cookie and granola. I found that a single serving kept me feeling full for about 3 hours. The chocolate chip biscuits taste fine, but the chocolate doesn�t make a big impact. There�s just enough chocolate to make your fingers messy, but not enough to satisfy a craving for chocolate. On the other hand, the apple cinnamon biscuits have a bold, fresh flavor. They might remind you of apple cinnamon oatmeal or maybe even apple pie. If I were to buy Nutri-Grain Breakfast Biscuits again (which I certainly may), I would absolutely go for the apple cinnamon variety. In the end, I found these to be satisfying and moderately filling. If you�re looking for a nice, new breakfast-on-the-go option, you�ll probably be happy with these. 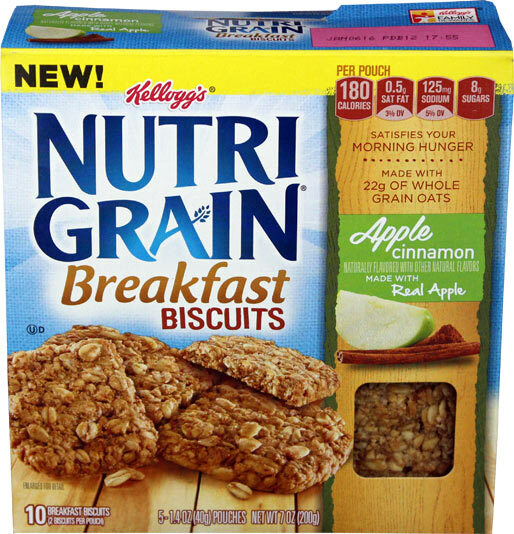 Each serving of Apple Cinnamon Nutri-Grain Breakfast Biscuits has 180 calories, 6 grams total fat (0.5 saturated and 0 trans), 0 mg cholesterol, 125 grams sodium, 28 grams total carbs, 3 grams dietary fiber, 8 grams sugar and 3 grams protein. 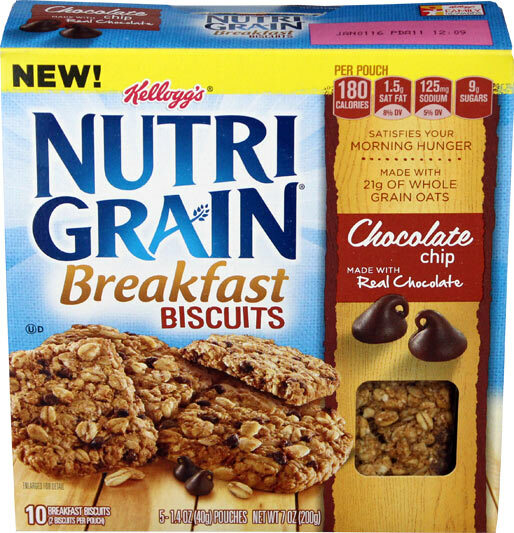 Each serving of Chocolate Chip Nutri-Grain Breakfast Biscuits has 180 calories, 7 grams total fat (1.5 saturated and 0 trans), 0 mg cholesterol, 125 grams sodium, 28 grams total carbs, 2 grams dietary fiber, 9 grams sugar and 3 grams protein. 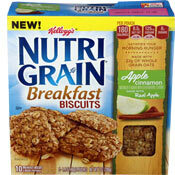 What do you think of Nutri-Grain Breakfast Biscuits?